Oh, I'm definitely doing it this time! Woohoo! Mark me down! How great is that. I'm so looking forward to the new party! I wish I had a blog. This is another reason I should try to tackle it. I fear the Blogger! I'm lurking! It sounds fun though! Yippeee!!!! I am bouncing in my seat with excitement! I am sooooo looking forward to this. My calendar is now marked and I have already been making plans for the next party! Lori, looking forward to it. 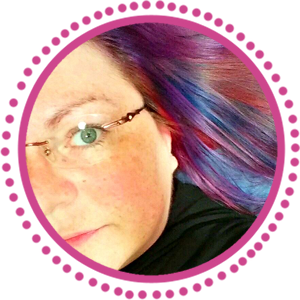 And I absolutely love the new badge! The new look is great and I especially like the font you used. Awesome - this was a lot of fun last time. Waiting in anticipation. Looking forward to it. 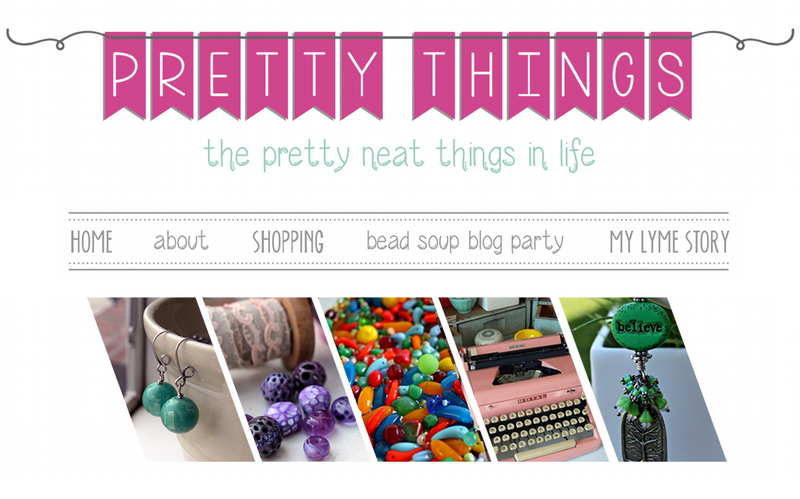 I definitely want to participate this year now that I finally have a blog! I'm grabbing my badge! Yea, I'll be ready for another swap by then. I will be participating again. Thanks for all the fun, Lori. It was so much fun last time. I'm looking forward to it. The Countdown begins...can't wait to participate in this one! I can't wait - I had such a good time on the last one and I made such a good friend and beading buddy who I still communicate with on a weekly if not daily basis so you can definitely count me in. It is such fun and I will be planning my stash for the next one. Ya!! I want to get in on it this time!!! Just posted on my blog about it! I am definitely attending! Let the fun begin! 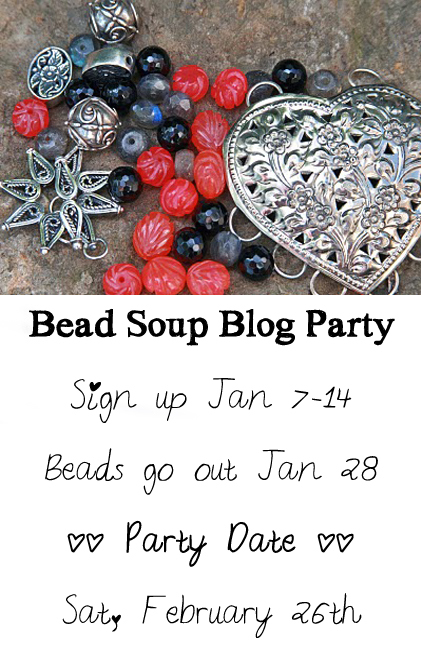 Working on my February themed bead soup now! I didn't get to participate before, but got to see all the wonderful results. I'm, excited to join this time around. THANKS! I'll be on the road during these dates, but I'm hoping to still have a go at it. We'll see! Thanks for hosting this again! 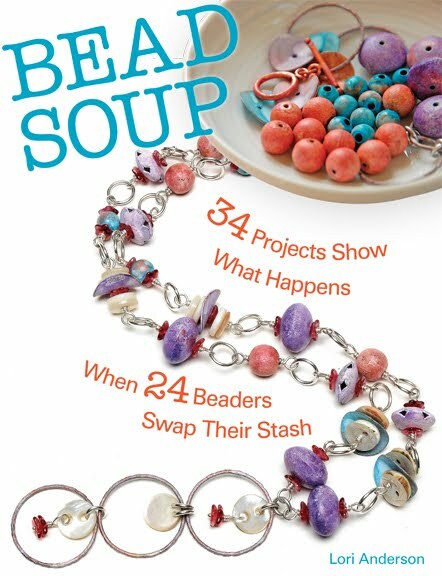 thank you for the early reminder Oh so Gracious Host of Bead Soup- I look forward to participating again!! Will try and participate in this one! The first one was fun. Waving from Paris, I'm IN! I have a great stash of vintage beads that I'd love to share. 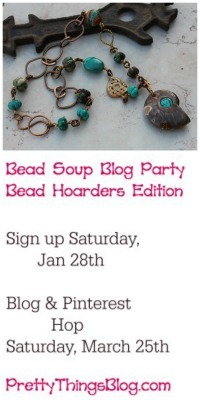 I'd love to join your Bead Soup Blog Party!! !